When analyzing public policy, one must typically ignore stated goals and understand the economic incentives that make groups favor certain forms of economic intervention. Unions, as a group, tend to favor market restrictions that prop up their higher wage rates. 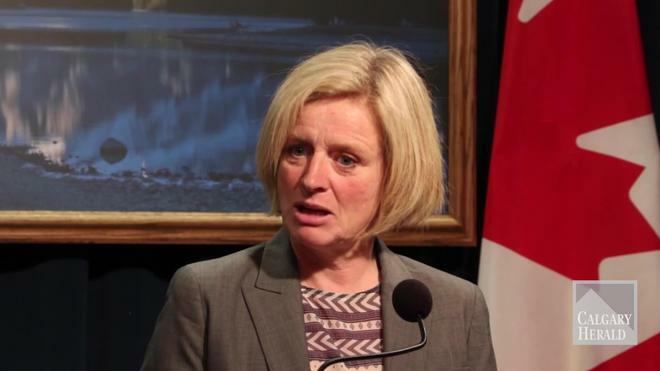 Alberta’s NDP, led by Rachel Notley, favors unions. This an important factor in the NDP arguing for a 50% increase to Alberta’s minimum wage, despite protests from the business community and anyone with an understanding of basic economic law. NDP goal to hike minimum wage has nothing to do with helping less productive workers make more income, regardless of what their stated objectives are. Minimum wage laws are a classic form of monopolistic grants of privilege that benefit some groups at the expense of others. Despite the proclaimed objective of minimum wage laws, which is to increase incomes of the most marginal workers, the actual effect is the exact opposite — it makes them unemployable because they are not sufficiently productive to be employed at the legal wage rates. This means that minimum wages will always cause more unemployment than otherwise — any economist who denies this is either a liar or a fool who doesn’t even understand the basic principles of price controls. Who benefits from such laws? Certainly not the marginal workers, for it becomes illegal to hire them at the wage justified by their productivity. On the other hand, anyone employed above the minimum wage benefits because their competition is reduced. In particular, unions benefit from minimum wage laws. Unions despise cheaper labor competition. Minimum wage laws remove competition of less productive workers by forcing them to be unemployed. And there is another reason why unions love minimum wage hikes — it is a devious way to increase their own wages. This can work in many ways depending on the labor agreement. Some agreements trigger mandatory wage hikes when statutory minimum wages increase (because wages are based on a percentage above minimum wage). Others have provisions to open wage negotiations if minimum wages go up. I am not making this up. Economic theory informs us that we should expect nothing less. But consider also a 2004 study in the Journal of Human Resources by economists William Wascher, Mark Schweitzer and David Neumark. They clearly showed that lower-wage union workers usually see a boost in employment and earned income following a mandated wage hike. And those non-union wage workers who are now unemployed or unemployable? Who cares! The union members already have higher wages and protected jobs. So what if this cruel policy leaves in its wake desperate workers who can no longer legally work? She is married to Lou Arab, a communications and public relations staffer for the Canadian Union of Public Employees and a campaign strategist for the party. She lives with him and their two children in the historic district of Old Strathcona located in south-central Edmonton. After law school, Notley articled for Edmonton labour lawyer Bob Blakely, and went on to work for the Alberta Union of Provincial Employees representing members with Workers’ Compensation cases. She worked for a short time for the National Union of Public and General Employees (NUPGE), worked at Athabasca University, acted as volunteer co-ordinator for the Friends of Medicare “Romanow Now” campaign, and finally as a labour relations officer for the United Nurses of Alberta. Can there be any doubt that Notley will seek to benefit her union friends at the expense of other groups in society? Of course not. Rachel Notley and the NDP are looking to empower unions. They don’t care if they hurt society’s least productive workers, like teenagers, people with disabilities, workers with language barriers, anyone without much experience for any reason, and ethnic or racial groups that may face discrimination. Some will argue that forcing minimum wages higher makes employers invest in more equipment and develop new technology and this will increase productivity of labor. Therefore, this improves the economy. But this is a silly argument. Capitalists are always seeking ways to increase productivity, so to think they are just sitting around waiting for the government to force price floors on labor to do so is a joke. But even assuming the employer doesn’t just reduce his quantity of labor demanded, his investment in new capital is limited by savings in the economy. Increasing minimum wage does not increase the total supply of capital available. If anything, capital will merely be shifted from some industries to others in an attempt to offset an artificially higher cost. Capital is not being reallocated because of a market requirement, and so this is not an economic improvement. Don’t be fooled by anyone who says they want to increase the minimum wage to help the poorest workers. The main concern motivating the NDP to increase the minimum wage is helping unions. Anyone advocating a higher minimum wage should be ridiculed and shamed out of public office on account of sheer ignorance.